Did you know that it was national doll day on 5th August? Probably not … but it was! You may wonder why I’m telling you this. Well dolls play a massive role in child development for a variety of reasons. Over the years a large number of studies have proven that role play has strong links with mental and behavioural development in children. I used to role play with my siblings when I was younger! I had a habit of playing with my sisters dolls, which as you can imagine she wasn’t best pleased about most of the time! 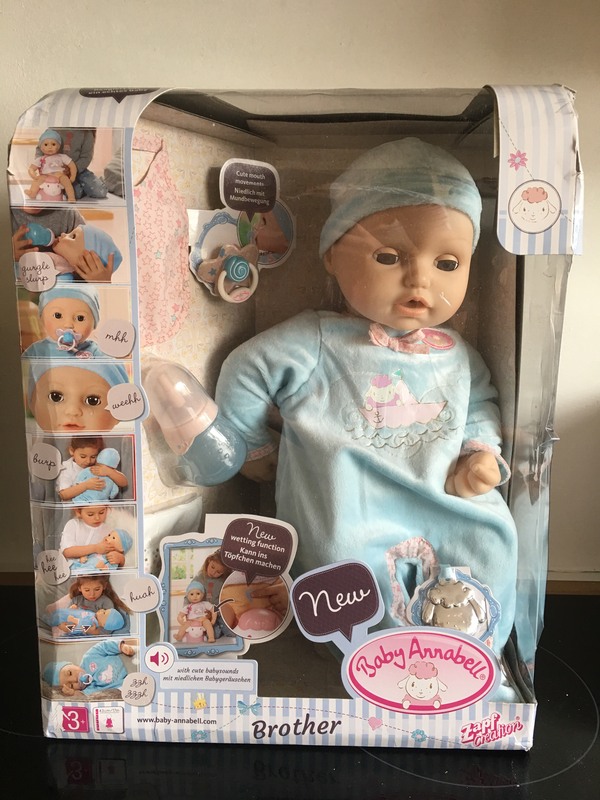 We were actually sent a Baby Annabell by the lovely people at Zapf Creation recently, which my daughters absolutely love (and my son!). 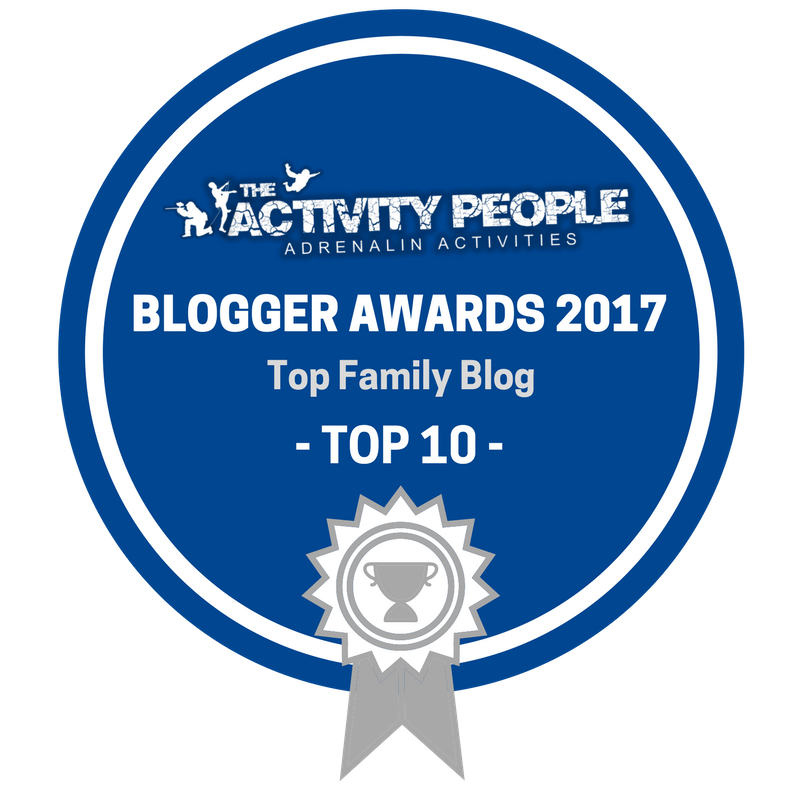 Baby Annabell has been around for years and years and it’s great to see my children playing so nicely together partaking in role play! 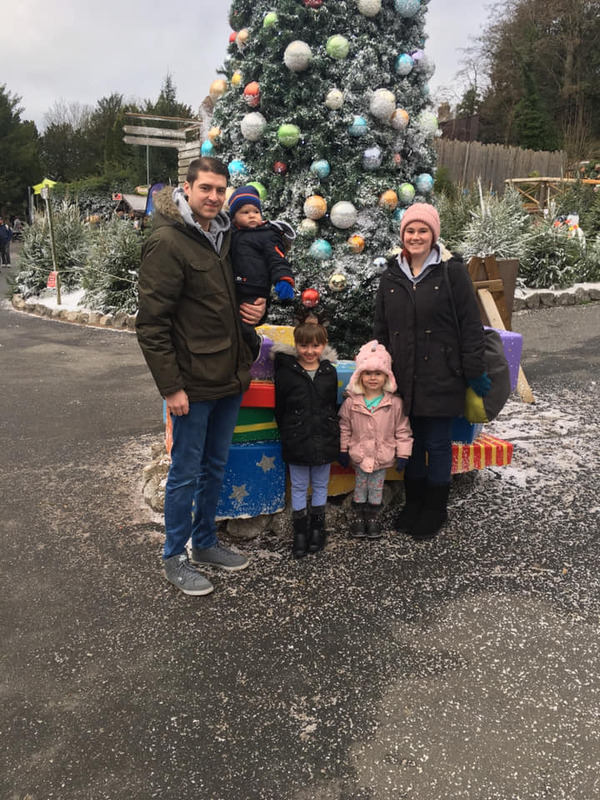 Evie, our middle child, has had the most fun with Baby Annabel’s brother and they’ve named him Jack! This doll has a range of new features, one of those being wetting it’s nappy and using the potty! Evie is actually potty training herself at the moment so it was lovely to see her sitting baby Jack on his potty and then sitting next to him on hers! Both our daughters Maisie and Evie also love feeding Jack his bottle to which he makes some lovely life like noises! He has some amazing life like mouth movements as well when sucking his bottle. He also cries real tears, yawns, burps and falls asleep! 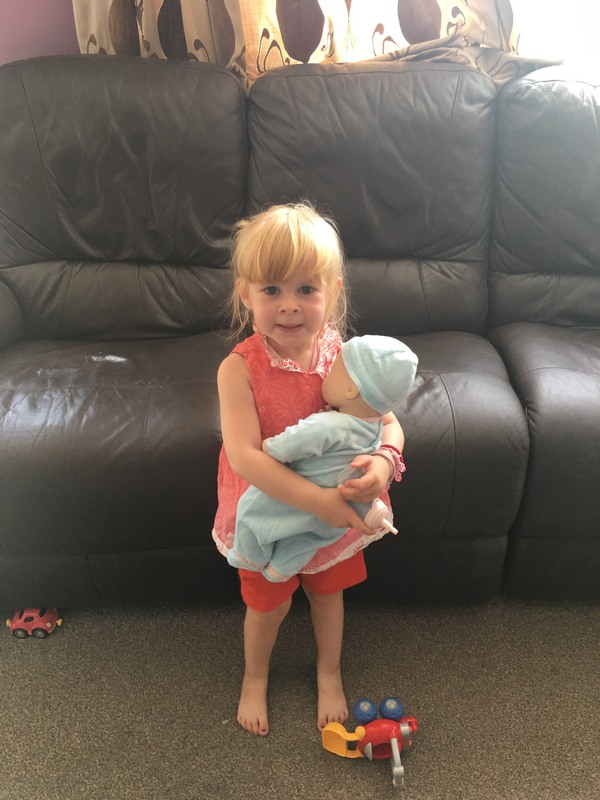 Evie has recently wanted to feed her brother his bottle of milk just like she has been doing so with Jack which is lovely and shows that this doll is allowing her to practise first and then is willing to participate and help us out! When children role play they are required to recall images of things they’ve seen in the past. They could have seen their mother feeding a sibling or changing a nappy. Bringing these pretend scenarios into their play, children are able to problem solve which helps aid the development of their cognitive skills. It also allows them to draw their own conclusions. A child’s ability to interact with adults and other children is really important if they are to do well at school. Role play is a big way in which children can develop their social skills. Children will often pretend to be someone or something else and in doing so they are practising both verbal and non-verbal communication. If children are playing together in a group, they have to agree with each other the roles that will be played and negotiating different terms. Learning to respect the decisions of other children will assist them greatly later in life! When children partake in role play, they will copy what other children are doing and saying which improves their vocabulary and language skills. Children will also be aware of the need to listen to the others in order to participate in the role play which will help improve their listening skills. As you can see, there are plenty of reasons why role play is vital for child development!